Two Bristol Blues were picked in the MLB draft by the Braves and Cubs. One is a Southington High School grad (committed to UConn). The other is the Vermont Gatorade Player of the Year. 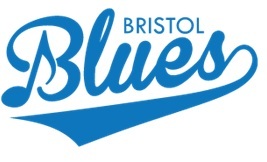 The Bristol Blues next play at historic Muzzy Field on Sat., June 13 at 7 p.m.. Here is the team release. As of just a few hours ago, two of our own Bristol Blues have been drafted to a Major League Baseball team. Rayne Supple was the first to be drafted of the two. Supple was taken in the 38th round of the draft by the Chicago Cubs. Not so long after, Liam Scafariello was taken by the Atlanta Braves. Along with the excitement of pitcher Rayne Supple, Liam Scafariello was drafted by the Braves. Liam, a UCONN commit, has had an exciting season with Southington High as they battle for the chance to play in the state championship against Amity at Muzzy Field, home of the Blues. Scafariello is a 6’4” outfielder who hits with power from the right side of the dish. Southington has enjoyed a 15-2 record this season with the help of Liam’s strong leadership on and off the field. Based at Muzzy Field in Bristol, Conn, the Bristol Blues are a member of the Futures Collegiate Baseball League of New England. The Blues are led by Manager, and former New York Mets catcher, Barry Lyons. The Futures Collegiate Baseball League is made up of elite collegiate athletes competing in a minor league style format. Each franchise provides high quality, affordable entertainment, in a casual, family friendly atmosphere. The Blues will play a 28 home game schedule ending August 9.